Jean Cameron Tudor sent along this update to prove she and her husband, William Tudor ‘55, “are still sitting up and taking nourishment.” Jean, who earned a bachelor’s degree in history from Puget Sound and a Bachelor of Fine Arts degree from Wayne State University, is working as an artist/enamelist. She teaches workshops in enameling art at The Grünewald Guild on the Wenatchee River, where she was recently designated a guild master. She also teaches at the Tacoma Metal Arts Center several times each year. Meanwhile, William, a retired Episcopal priest who holds a bachelor’s degree in literature from Puget Sound and a master’s degree in divinity from Church Divinity School of the Pacific, heads the board for AIDNW (Advocates for Immigrants in Detention Northwest). The Tacomabased nonprofit runs an RV that aids immigrants who have been released from Tacoma’s U.S. Immigration and Customs Enforcement detention center. Immigrants can obtain help with travel and communication with relatives as well as clothing and translation assistance at the RV. William also does occasional supply work for local Episcopal churches. Richard Wiley will be celebrating the launch of his ninth literary work, Tacoma Stories, with two events in February. A book-launch reading and conversation with Richard will be held at 7 p.m. Friday, Feb. 15, at Elliott Bay Book Company in Seattle. A second reading and conversation will be held at King’s Books in Tacoma, at 7 p.m. Thursday, March 7. Tacoma Stories is a collection of short stories that follow the lives of 16 people who gathered in a Tacoma bar in 1968. Richard, a Tacoma native who holds a bachelor’s degree in political science from Puget Sound, says the idea for the collection came out of his experience one night drinking at Pat’s Tavern back in the late 1960s. “Originally, I peopled this story with folks I had actually known back then, not even bothering to change their names. But then I invented new names and backgrounds for them. I thought it would be interesting to imagine their lives going backward and forward from that night,” he said. Donald Doman wrote a column called “Middle School and the Rewards of Expanded Horizons” for The Suburban Times in August. The piece calls on teachers and parents to support students through the stressful and frightening middle school years and not pressure them with questions about their future. Donald is a local businessman who owns multiple online marketing companies and local business directory websites. He attended Puget Sound. Richard Morgan retired on Aug. 31, after serving as a federal administrative law judge with the U.S. Department of Labor for 21 years. He spent the last five years of his career as the district chief judge in Pittsburgh, Penn. Richard had previously retired as an Air Force judge in 1995, after 20 years of service. During his time as a business administration student at Puget Sound, he was part of the university’s Air Force ROTC. After graduating with his bachelor’s degree, Richard went on to earn a master’s degree in law from Georgetown University and a Doctor of Jurisprudence degree from Lewis & Clark College. Now in retirement, Richard and his wife, Pat, plan to remain in Pittsburgh and sail on Liebchen, their sailboat docked at their beach house in St. James, N.C. They have four grandchildren and a fifth on the way, and will spend a lot of time with them. This fall, Richard Walters was elected president and board chair of Families Unlimited Network, a large nonprofit social services organization serving residents of Pierce County, Wash. A retired U.S. Navy captain who holds a bachelor’s degree in accounting from Puget Sound, where he played rugby, Richard has held jobs as a wood products executive and Port of Tacoma commissioner candidate. He and Sandy, his wife of 45 years, live in University Place, Wash.
Each August, industry experts gather in Seattle for the Northwest Jewelry Conference, organized and directed by Ted Irwin. Ted is the director of the Northwest Gemological Institute and its affiliate jewelry appraisal firm, Northwest Gemological Laboratory. The conference brings some of the world’s noted historians, collectors, dealers, and appraisers to Seattle. Ted holds a bachelor’s degree in business administration from Puget Sound. Ralph Esposito M.F.A.’77 had nearly 100 pieces of his work displayed as part of the Helena Art Walk in November. From porcelain pots to watercolor paintings, Ralph’s retrospective show, called Full Circle, offered “a glimpse of just how diverse and eclectic his interests are and how prolific he’s been over the decades,” an Independent Record article said. Ralph has been a visual arts professor at Montana’s Carroll College for 40 years. 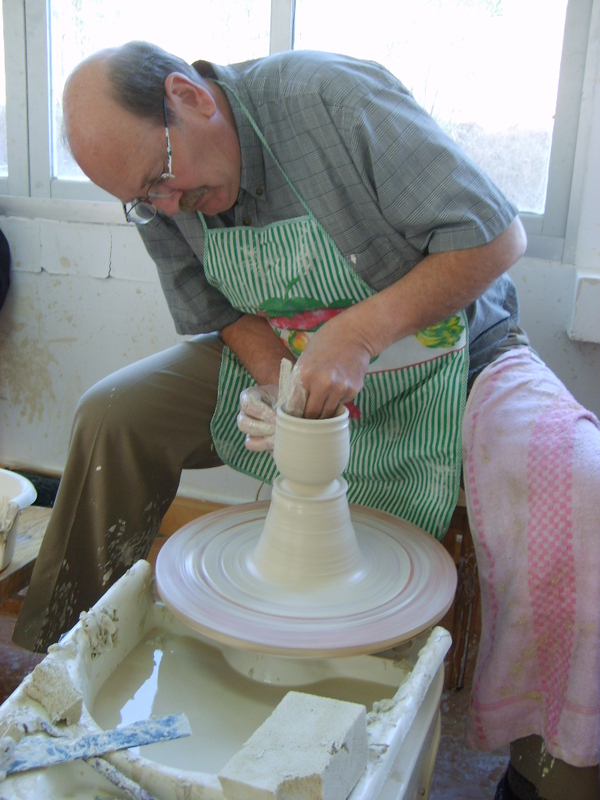 He earned a bachelor’s degree in fine arts from the University of Connecticut and a master’s degree in ceramics from Puget Sound. Cynthia Deale O’Halloran, a professor in the School of Hospitality Leadership at East Carolina University, received the Howard B. Meek Award from the International Council on Hotel, Restaurant, and Institutional Education (ICHRIE) on July 27. She was recognized at ICHRIE’s annual conference, in Palm Springs, Calif. The award is the highest individual recognition a member of ICHRIE may receive. It is presented to an ICHRIE member in recognition of the individual’s lifetime contributions and outstanding service both to hospitality education and to the organization. Cynthia served on the board of ICHRIE and as its president. In addition, she served in leadership roles at the regional level in ICHRIE, and is an accomplished teacher and researcher. Russ Stoddard, founder and president of Oliver Russell, a purpose-driven creative agency, joined forces with a former European manufacturing CEO in October to create a business focused on social purpose. Humanista is a consulting firm headed by Russ and Markus Kessler that is dedicated to transforming business, investing, and cities through social purpose. “We help leaders integrate social purpose into the core of their organizations,” Russ said in an Oct. 18 CSR Wire press release. “Changing the world through business is our passion, and at this moment in history, it is a more important calling than ever.” Russ lives in Boise, Idaho, and maintains the company’s domestic presence while Markus, who lives in Germany, will handle international relations. Russ holds a bachelor’s degree in English from Puget Sound and is a member of the Beta Theta Phi fraternity. In early November, Zemo Trevathan and his Boston-based ultimate team DoG Country, traveled to Sarasota, Fla., and won the Great Grandmasters World Championship. The competition, for teams with members over the age of 50, saw a dozen teams fighting for the title. 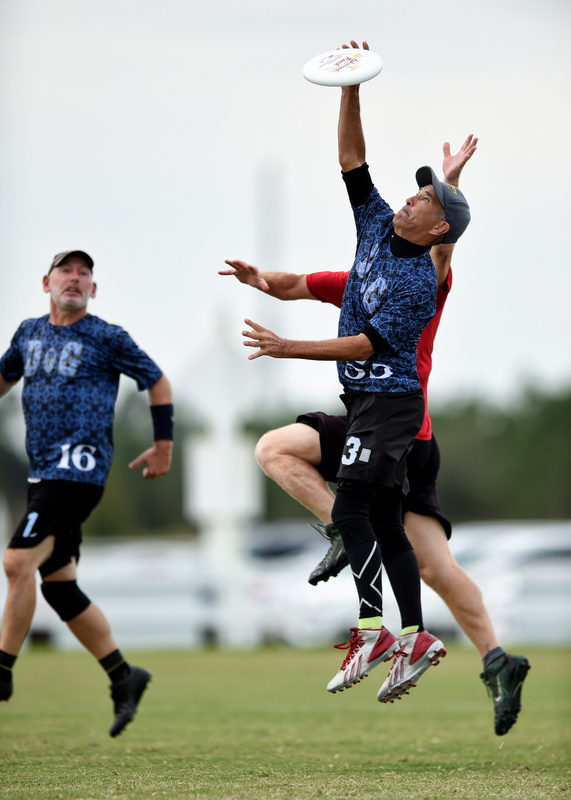 Zemo, who was one of the founders of Puget Sound’s own ultimate team, made the game-winning catch against TriAged in the quarterfinals of the world championships. Zemo holds a bachelor’s degree in psychology from Puget Sound and worked for The Trail. Last fall, Leanne Lemke Noren became executive director of the Carol Milgard Breast Center—a nonprofit breast imaging center in Tacoma, an October South Sound Talk article said. Leanne has worked in local nonprofits for more than 25 years and first entered the field with a post-college job at the American Lung Association after earning her bachelor’s degree in comparative sociology from Puget Sound. She remained at the association for nearly 20 years before co-founding Pierce County Project Access, a nonprofit designed to connect doctors with patients at little to no cost, the South Sound Talk article reports. She decided to become involved with the Carol Milgard Breast Center because she was “ready to do something bigger,” she told South Sound Talk, and she hopes to invest her time in the people behind the organization. Gregory Custer was included in the Orange County Business Journal‘s November list of the region’s 500 most influential business leaders. He is an executive vice president at Whittier Trust Company in Whittier, Calif., which oversees $12.7 billion in assets. Gregory holds a bachelor’s degree in business administration and economics from Puget Sound, where he became a member of the Beta Theta Pi fraternity. He is also a graduate of Cannon Financial Institute’s Trust School and holds the Certified Trust and Financial Advisor designation. In September, Tanya Saine Durand was interviewed by South Sound Business about her work as executive director of the Children’s Museum of Tacoma. Tanya began working at the museum as its development director in 1996, and became executive director a few years later, according to the article. In the piece, she discussed the importance of listening to and serving the community, as well as giving children space in an adult world. She also talked about the museum’s ongoing project to put a satellite campus at Joint Base Lewis-McChord, the first of its kind on a military base. 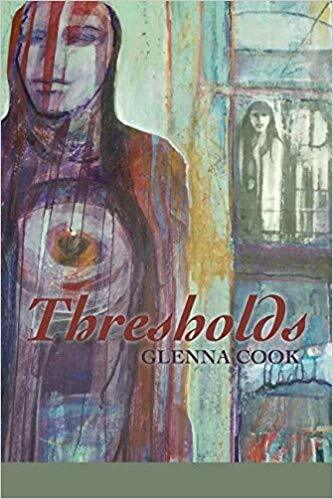 Thresholds, Glenna Bolender Cook’s book of poetry, was nominated for the Washington State Book Awards in August, The Seattle Times reported. Her book was one of six in the statewide contest’s poetry category. The annual awards are the product of a partnership between the Washington Center for the Book, The Seattle Public Library, and Washington State Library, and honor books published by Washington authors in the previous year. Awards are given to one author from each of the four adult categories (fiction, nonfiction, poetry, and biography/memoir) and each of the four youth categories (picture books, books for young readers, books for middle grade readers, and books for young adult readers). Finalists were announced in October, and Lena Khalaf Tuffaha’s collection, Water & Salt, won the prize for poetry, according to The Seattle Times. In August, Seth Ely became a senior lighting designer at global design firm Stantec. He works out of the company’s Seattle office and is responsible for growing the practice and expanding the lighting design team. Seth has 18 years of experience in lighting design and formerly worked for BuroHappold, an engineering consultancy in Los Angeles. He holds a bachelor’s degree in history from Puget Sound, where he was a member of the Logger crew team and joined the Sigma Nu fraternity. He went on to earn a Bachelor of Fine Arts degree from the University of Washington and a Master of Fine Arts degree from the University of Pennsylvania. Robert Nelson, director of the University of Richmond’s Digital Scholarship Lab, was quoted in an August article in The News Tribune about Tacoma’s history of real estate and housing discrimination. The article explores how racism embedded in federal home loan maps—known as redline maps—led to uphill battles for black families in Tacoma, and throughout the country, looking to buy a home. Robert’s work at the scholarship lab has included digitizing these maps from cities throughout the country and compiling them into an online project called Mapping Inequality. Robert earned a bachelor’s degree in history from Puget Sound and a Ph.D. in American studies from the College of William & Mary. Evanne Pettibone Aarstad, a teacher at Lea Hill Elementary School, was named outstanding staff member of the month by the Auburn School District Board of Directors in September, according to a piece in the Auburn Reporter. Evanne works with students in kindergarten through third grade who have significant social/ emotional and behavioral needs. She told the Auburn Reporter that she loves working with “the most challenging kids,” and Ed Herda, principal of Lea Hill, said, “Evanne is a specialforces version of a teacher—the best of the best.” She holds a bachelor’s degree in psychology from Puget Sound, where she was a member of the Logger softball team and Kappa Alpha Theta sorority. Puget Sound Trustee Jeremy Korst was named president at GBH Insights, a New York City-based marketing, research, and analytics agency, in October. According to an article in Business Wire, Jeremy was formerly a strategic advisor to GBH and now will be responsible for the company’s strategic marketing and insights practice. He holds a bachelor’s degree in politics and government from Puget Sound, where he joined the Sigma Chi fraternity, and a master’s degree in business administration from the University of Pennsylvania. He has held CMO and product management executive positions with Microsoft, T-Mobile, and Avalara. In August, Joannah Vosburgh Pickett became Trinity University’s assistant vice president for alumni relations and development. She will be responsible for developing the university’s capital campaign strategy; managing annual giving, major gifts and planned giving, and advancement services; and helping to provide leadership for the entire division. Prior to accepting her position in San Antonio, Texas, Joannah was the assistant vice president of annual giving at Georgetown University in Washington, D.C. She earned a bachelor’s degree in comparative sociology from Puget Sound and a certification in nonprofit leadership and management from Georgetown University’s McCourt School of Public Policy. Maxine Cram McReynolds relocated this summer from Santa Fe, N.M., to Los Alamos, N.M. She continues to work as an attorney with the Office of General Counsel for Los Alamos National Laboratory. Maxine also has been busy pursuing her M.B.A. at the University of New Mexico’s Anderson School of Management, where she has met other Loggers. She says she is looking forward to connecting with more Puget Sound alumni in the Santa Fe area. Maxine holds a bachelor’s degree in international political economy from Puget Sound and a law degree from the University of Colorado Boulder. Restaurateur Daniel Nguyen won a city council seat in Lake Oswego, Ore., in November. Daniel, who holds a bachelor’s degree in business administration from Puget Sound and a master’s degree in the same subject from Marylhurst University, received more than 20 percent of the vote and took his seat on the council in January. Daniel and his wife own Bambuza, a chain of Portland-area Vietnamese restaurants. In November, after winning the election, he said in a Lake Oswego Review article that he was “humbled” by the reaction he received from voters. Esther Morgan-Ellis, assistant professor of music at the University of North Georgia, was featured in a Where I Lead profile on the university’s website in August. The piece explores Esther’s life and relationship with music leading up to her current teaching position. Esther not only teaches at UNG, but is the director of the school’s orchestra. She earned her master’s degree in music from UNG and also holds a bachelor’s degree in performance music from Puget Sound and a Ph.D. in music history from Yale University. Cristine Scott, a former Logger swimmer and graduate of Puget Sound’s studio art program, was featured in a November Idyllwild Town Crier article. She is the manager of the Idyllwild Arts Foundation’s Parks Exhibition Center gallery in Idyllwild, Calif., and also teaches art fundamentals to high school students. In November, she spoke as part of the foundation’s Spotlight on Leadership series. In addition to her bachelor’s degree from Puget Sound, Cristine holds a master’s degree in visual arts administration from New York University Steinhardt. Prior to her position at Idyllwild Arts, she was executive director of the Durango Arts Center in Colorado. In September, Katherine Van Eddy was one of two poets featured at a Rainbow Café reading in Auburn, Wash., according to the Auburn Reporter. Katherine, who lives in Tacoma and holds a bachelor’s degree in English and a master’s degree in teaching from Puget Sound, is a teacher at St. Vincent de Paul School and has been accepted to the Rainier Writing Workshop to earn an M.F.A. in poetry. Her poems have been published in Creative Colloquy Volume 4, HoosierLit, and Puget Sound’s Crosscurrents. Nicolas Cary, co-founder and vice chairman of the cryptocurrency company Blockchain, was quoted in an Oct. 16 Bloomberg article about the complicated logistics of universities accepting crypto donations. In 2014, Nicolas made a $10,000 (14.5 bitcoins) donation to Puget Sound using the digital currency bitcoin. He gave university administrators a crash course in cryptocurrency that resulted in Puget Sound changing its policies to accept the donation and becoming the first university to accept cryptocurrency donations. “I wanted to prove that it could be done,” Nicolas, a graduate of Puget Sound’s Business Leadership Program, told Bloomberg. Kat Reed spent eight years traveling the world in pursuit of further education. Now, her career has brought her right back to Tacoma. Kat graduated with a bachelor’s degree in biology from Puget Sound before earning a Doctor of Veterinary Medicine degree from the University of Melbourne in 2014. Last year, she earned a master’s degree in wild animal health (with an emphasis on infectious disease of penguins housed in zoos and aquariums) from the Royal Veterinary College and Zoological Society of London. In October, she began working in zoo animal medicine at Point Defiance Zoo & Aquarium, where she worked as an intern while a student at Puget Sound. Kat says she cherished her time at the university, where she received guidance, support, and mentorship that allowed her to pursue and achieve her lifelong dream of becoming a zoo veterinarian. “I was taught to be … empathetic and compassionate, as a health care provider and good Logger should be,” she says. Tanya Rogers received her Ph.D. in ecology, evolution, and marine biology from Northeastern University in August. Her dissertation was on short- and long-term drivers of blue crab distribution, abundance, and population dynamics across the Atlantic coastline. She is now a postdoctoral research associate at the NOAA Southwest Fisheries Science Center in Santa Cruz, Calif., and is working on multispecies forecasting methods for marine ecosystembased management. Tanya earned her bachelor’s degree in biology from Puget Sound, where she played tennis as a Logger. Jeanne-Marie Joubert is the queer programming director of Kremwork, a queer-centric underground nightclub in Seattle that specializes in dance music and drag shows. On Sept. 14, she was quoted in a Seattle Times article about Kremfest, a four-night dance-music festival hosted by Kremwork. Jeanne-Marie studied gender and queer studies at Puget Sound and began working for Kremwork in 2015. In the Seattle Times piece, she spoke about the importance of safe-space training and zero-tolerance policies surrounding the safe space of the club. She is the creator of Kremwork’s safety statement, which is posted on the club’s walls and entryways. “Kremwerk strives to be a safe space. The following actions or display of behavior will not be tolerated: bigotry, racism, sexism, transphobia, homophobia, misogyny, ableism, as well as the disrespect of the rules of consent. Our staff is here to support you,” the statement, as printed in the article, reads. Former Logger rower Sergio Espinoza is one of the University of Washington’s men’s rowing team’s three assistant coaches for the 2018–19 season. According to a September statement from UW, Sergio has spent the last two years as an intern coach, and now will assist with recruiting and overseeing the oarsmen’s development with the Huskies’ third and fourth eights. Sergio also was in charge of the United States Under-23 men’s coxed four, which won the gold medal at the 2018 World Rowing Under-23 Championships in Poland. He holds a bachelor’s degree in exercise science from Puget Sound. Lexa Hospenthal, a soprano who earned a bachelor’s degree in performance music from Puget Sound, graduated with a master’s degree in vocal performance from the Royal Academy of Music in London in July. She is a member of London’s Philharmonia Chorus and is pursuing a professional performance career. An article written by Greg Shipman, Puget Sound’s Orientation program manager and communication studies alumnus, and two other alumni was accepted for publication in the Northwest Journal of Communication. “Humor Functions Throughout Platonic Relationships: An Extension of Knapp’s Staircase Model,” was written by Greg, Duyen Vo ’16, Alesha Brown ’17, and Assistant Professor of Communication Studies Nicholas Brody.